Shipping to UK and some countries in Europe is already included in the price. Will comes with 12V gear motor. Shipping to UK and some countries in Europe is already included in to the price. BoilieRoller, 12V gear motor, cutting unit with two air pressure regulators and filter, 4 kg or 8 kg pneumatic dough gun with 3 nozzles, stand for dough gun and pellets maker. The set will be sent out in about 1-2 weeks time. 12V gear motor has sped regulater and is with 100-120V or 220-240V step down transformer. 8 kg dough gun is too heavy to hold it in hands and we recomend to use it with automated sets and to hold it on stands. 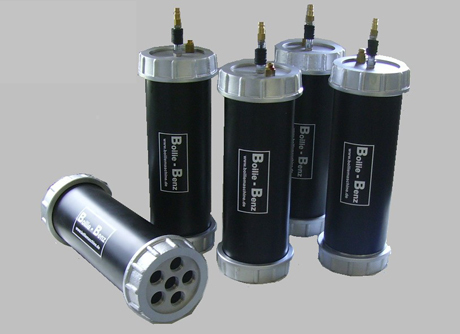 - for BoilieRoller-Midland Carp 4 kg and 8 kg pneumatic dough guns. 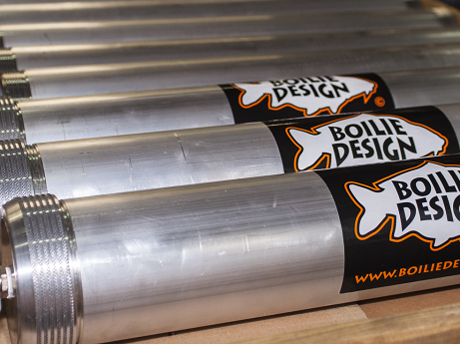 - for Boilie Design Ø100 mm pneumatic dough guns. - for Boilie Benz Ø120 mm pneumatic dough guns. In comments please write what dough gun you have. Cuts about 370 mm length sausages. Possible individual orders. You can order custom build cutting unit for your boilie machine. Producing of your ordered cutting unit will takes about 3-6 weeks after we will get your payment.